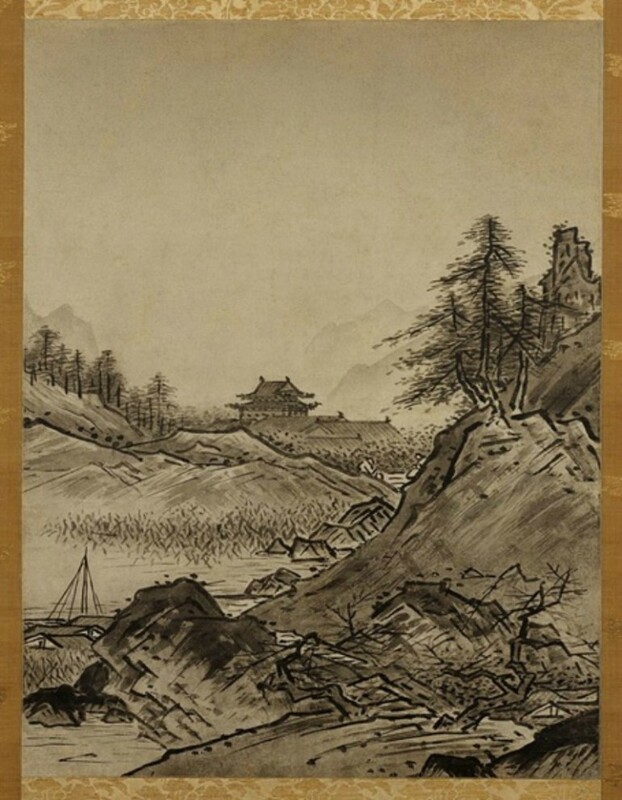 In ancient times, most of the literati (highly educated male scholars) practice the art of ink wash painting, an early form of brush painting in East Asia that only uses black ink in different concentrations to produce fine quality art work. It comes in different names. The Chinese call it shuǐ mò huà, while it is called sumukhwa in Korean and tranh thủy mặc in Vietnamese. In Japan, the art is called suibokuga or Sumi-e. In ink wash painting, shading and tonality are created in different ways, either by varying the density of the ink through pressure of the brushstroke, by changing the ink load and by changing the way of grinding the ink stick with water. Mastering ink wash painting takes several years of dedicated practice because it is not that easy to manipulate and control the ink flow and the movement of the brush. A master in the technique could produce several tonal variations in a single stroke. Sumi-e, the form of Japanese brush painting has a 2,000-year history. It is deeply rooted in Zen Buddhism as the early practitioners of the art were disciplined Buddhist monks that were trained in the art of simplicity, clarity and concentration. These Zen masters here highly dedicated to the art, which required strict discipline and serious reflection. 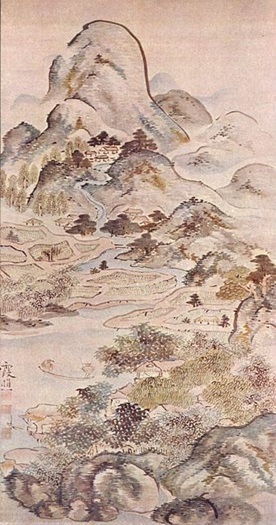 They had to go through a rigid meditation schedule to prepare for Sumi-e, and the center of their creative process is reached when they have entered a deep contemplative state, which involved inkstone preparation, the grinding of the sumi ink and loading the brush and finally applying the brush on a silk scroll or rice paper. Mastering the production of tonal values from black ink required perfect skill and is more difficult than when using color. Sumi-e was a great way to instill the Samurai Code of Conduct or the Bushido. The samurai needed to have composure before battle, which had its artistic duplicate in the tranquility and calm that is required before a Sumi-e master releases the brush stroke without fear. By definition, Sumi-e is the Japanese art painting using only black ink. A Sumi-e artist aims to capture the essence of the subject with only a few brush strokes. Each stoke of the brush must have a meaning and should evoke emotion and beauty that a viewer can see not only in the painting itself but also in the space within and outside the painting. The ink used for Sumi-e is indelible, thus it creates an image that cannot be painted over. The brush or in Japanese, the “fude” is very important. The artist loads the brush with the perfect balance of several shades of ink on the different sections of the brush, with the knowledge that these will be released at different speeds and at different times in just one stroke. The ink should have the right consistency that is borne of long years of experience, skill and intuition of the artist. It is something that cannot be measured. Shading is one of the key characteristics of what makes an excellent brush stroke in Sumi-e. A master of Sumi-e can efficiently shade a brush stroke from light to dark while preserving the purity of the tones of the ink and the stroke’s character. A Sumi-e artist paints using Japanese paper or “washi.” Washi creation is based on weather conditions and seasons. The fibers of rice, kozo or paper mulberry, plants that are indigenous to Japan like mitsumata (Oriental Paperbush) and gampi are used for washi. They come in different types of absorbencies that correspond to different brush strokes. The brush used in Sumi-e are made from natural materials of the finest quality. The brush handle is made from bamboo while close to 10 different types of wild animal hairs are used in combination for the bristles, including rabbit, wolf, badger, horse and deer. Each type of hair absorbs and responds to the ink distinctively. A Sumi-e brush may look simple but it is a very elegant and perfectly balanced art instrument. Its inner core is made from more resilient and stiffer hair. The outside is made from finer and softer hair while the tip uses the most delicate hairs. Other materials used in Sumi-e include the “suzuri” or inkstone, which is created from the slate found in ancient riverbeds and quarries. Sumi inks of the highest quality are those that come from the pine trees growing on the mountainsides of Suzuka and Nara. The technique in the production of the sumi ink is an age old tradition that is passed on through generations. Just like the brush and paper, the ink is also produced only during particular times of the year. An excellent sumi ink is one that had been aged for 10 years or more.